Which of these other great PC games would you like to learn more about? And Dark Souls – Volume 2: Bloodborne and Dark Souls III. Volume 1 focused on Demon’s Souls and the first two Dark Souls games, so Volume 2 picks up where it left off with a dive into the wonders and horrors of Yharnam and Lothric. 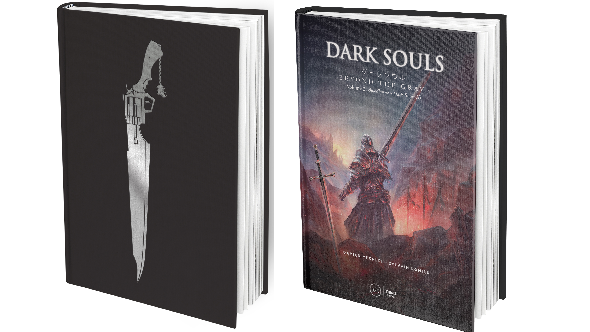 For a taste of what you’d be funding, you can download an excerpt from Dark Souls Volume 1 here, from Zelda Volume 1 here, or from The Legend of Final Fantasy VII here. The books will be available in both hardback standard editions and limited issue Collector’s editions. But Third Editions need your help first.The Kickstarter aims to raise €60,000 – just over £53,000 – to fund the books’ translation. For more information – or to pledge, if you’re already sold –check out the Kickstarter page here. If you can’t wait, some of their other books have already been translated – you can browse them here.